DAVID SAUNDERSON is the founder and managing editor of The Spooky Isles. 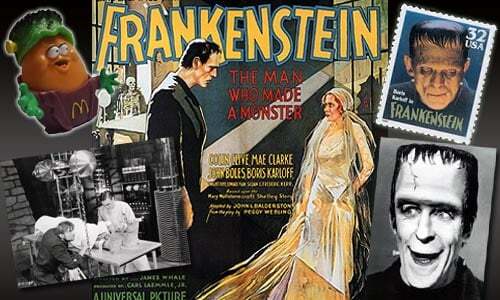 I WATCHED Frankenstein 1931 today – the first time I have seen the complete film in over 20 years. To my delight, I discovered the copy I had was the restored version. PLOT: Scientist and his assistant bring life to a body stitched together from dead body parts and a pre-loved brain. Newly-created creature takes umbrage at being treated like a second-classed citizen even though he’s made from second-hand parts. Whole lot of people get hurt and upset in the process. MORAL OF THE STORY: Providing employment to the disabled might be the right thing to do, just make sure it isn’t an incompetent, disobedient hunchback deviant sadist or he might end up botching your whole project. FUN FACT: The opening credits attribute the novel to “Mrs Percy B. Shelley” rather than Mary Wollstonecraft Shelley. Edward Van Sloan’s presence at the start of the film, coming from behind the curtains to warn the audience about the terrors that lie ahead is an outstanding piece of theatrics. However, from the outset, it is very clear that Edward Von Sloan is a very strange, peculiar man. But not as weird as Fitz the hunchback assistant. Boris Karloff is unbelievably amazing in this film. He is clearly the star and the reason he is one of the most recognisable people of the 20th Century. Possibly an unrecognised star of the film is Dwight Frye. His wonderfully deviant and sadistic Fitz is the archetype mad scientist’s hunchback assistant. Fitz’ insane, wide-eyed look perfected by Frye as Renfield in Dracula (1931) lights up the screen, as he almost salivates over the prospect of digging up a dead body. The delight Fitz takes in torturing the Monster with fire later in the film is almost sexual. Fitz really is one sick individual. But at least his character is real (I love when he pulls up his sock climbing the stairs with his little cane). I became increasingly annoyed at Edward Van Sloan in the film. 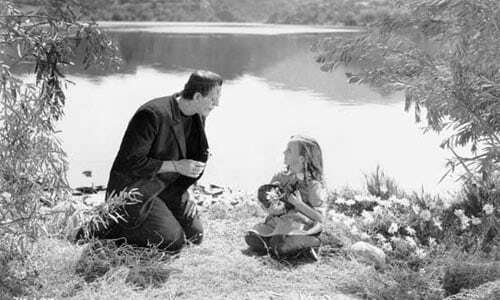 The most controversial scene from Frankenstein (1931) – the Monster meets little Maria. His character, Dr Walman, is meant to be the voice of reason, but to my mind, he is smug and hypocritical – totally unworthy of respect. 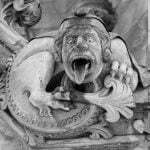 The fact he is so quick to want to kill the monster, when he essentially kicked Henry from out of school wanting to work on human bodies shows he has the ethnics of a dog’s hind leg. Another disturbing character is Henry’s supposed best friend, Victor Moritz. We discover from the start that Victor is lusting after his buddy’s fiancée, Elizabeth and doesn’t seem to hide the fact. Mae Clarke’s Elizabeth in Frankenstein 1931 is a non-event really; refusing to admonish Victor the dog’s romantic suggestions. She doesn’t lead him on, but she doesn’t tell him to cut it out either. Baron Frankenstein is an aristocratic twit and the Burgomaster appears to be a populist official, sucking up to the rich and powerful. In real terms, Henry Frankenstein, despite the terrible series events his actions cause, seems the most decent and virtuous person in the room. At what point does the Monster do anything consistent with having a murderers’ brain – everything he does is a misunderstanding or in self-preservation, ie. killing sadistic Fitz or escaping his cell? Who taught the Monster to dress himself, as he runs out the building fully clothed after strangling Dr Welman? Why does Maria’s father assume that his daughter was murdered?What kind of marks did the Monster leave on her when he gently picked her up and threw her into the water? Who told the Monster where Henry Frankenstein lived or who Elizabeth was? How did the Monster find Elizabeth on her wedding day? In the book it’s clear, but here, Karloff’s Monster is a barely-functioning, brain-damaged infant, who for all intents and purposes is quite nice when he is treated nicely. Why don’t any of the villagers blame Henry for Little Maria’s death – can’t they tell he was responsible for the Monster in the first place? Must be good to be the son of the Baron, get away with murder. “Now I know what it feels like to be God”: Other than the “it’s alive, it’s alive” – this is probably one of the best know lines in the film, especially seeing it was cut from the film and no one ever saw it. Clearly blasphemous but necessary to show Henry’s state of mind. The drowning of Little Maria: This scene was cut short as it was considered too violent. But as I remember it from the censored version, the father carrying his dishevelled limp daughter’s body through the street gave the impression the Monster had violated her in some way. All we seen is a mad look in the monsters’ eye and then cut to the dead body. In this version, we see the Monster chuck Little Maria in the water and then immediately realising what a bad thing he had done. You can see the terror and grief in the Monster’s eyes, adding to the pathos. You can tell the added scene because the film stock looks different. Injection scene: Apparently there was an injection scene removed for many years. From what I can gather, it is the bit when they try to sedate the Monster. It was hardly worth putting back in. Much has always been said about the sets of Frankenstein 1931, especially the laboratory scenes. Indeed, the whole production is beautiful. Especially enjoyable is the knee-slapping festival scenes with Germanic architecture. The film’s look holds up pretty well, though I found the editing with close-ups of each actor as they spoke a bit distracting. The Burning Mill scene in Frankenstein 1931 with the mob burning the poor Monster alive should have been the last scene. I found the demise of the Monster quite confronting but to cut to the Baron and the Maids in what can only be classed as a cop out. The end scene should have been the bleak realisation of what Henry Frankenstein did, rather than the weak comic relief. I have always been irritated by the murderer’s brain plotline too – it does not appear in the book and I think it almost spoils the movie. We are supposed to feel sorry for the monster. I think you are right about the father too. Does he even ever clap eyes on the monster? I remember seeing this as a child in 1976 during the Horror double bill season on BBC 2 on Saturday nights. I was allowed to stay up late to watch it. Back at the junior school I attended I would draw the Frankenstein monster burning in the mill for friends. Good days. After the injection shot, the struggle between the doctors and the monster is longer in the restored version. And the confrontation between Fritz and the Monster is MUCH longer in this restored version as well. RICHARD PHILLIPS-JONES reflects on a double-role for Boris Karloff, starring in period chiller The Black Room.